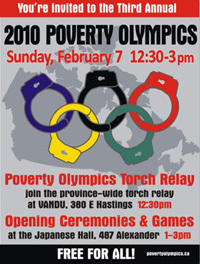 The first annual Poverty Olympics was held on Sunday, February 3, 2008 at Carnegie Theatre in Vancouver.
? 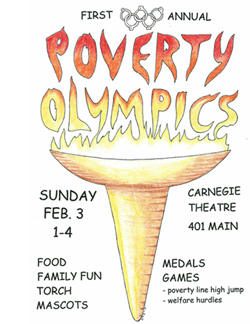 Read about what happened at the first annual Poverty Olympics, along with photos!
? Article: Poverty kills: Why isn't anyone doing anything about it?